The Japanese beetle population is getting thicker now after the cool spring. 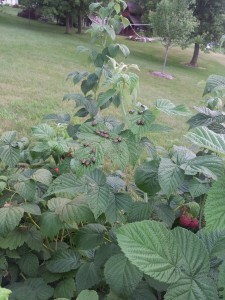 While BugVibes™ continues to protect many things, attached is a picture of some unprotected raspberries with a good population of beetles. They say they like to group together. They are not kidding around! Previous story Be Warned, Japanese Beetles Have Arrived!